Lance Morgan, president and CEO of Ho-Chunk Inc., announced Thursday that a ballot initiative proposal has been filed with the secretary of state’s office. Expanded gambling would generate an estimated $50 million in new state tax revenue that could help fund property tax relief and support public schools, Morgan said. Nebraska is “missing out on taxes and proceeds from about $500 million that residents wager annually in surrounding states,” the petition sponsors said in a news release. A similar petition effort in 2016 failed to acquire the required number of signatures. Accompanying the proposed constitutional amendment will be two statutory initiatives to regulate casino gambling. Ho-Chunk, which owns the Atokad track in South Sioux City, is partnering with the Nebraska Horsemen’s Benevolent Protection Association to bring the issue to Nebraska voters. 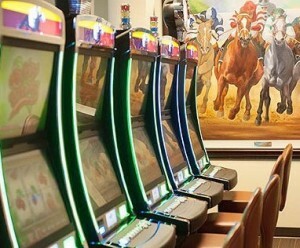 Those connected to the racing industry have long viewed casinos as a lifeline for the state’s horse racing tracks, which have suffered through decades of decline. In 2017, wagering on live races and races simulcast to the wagering facilities in Omaha, Lincoln, Grand Island and Columbus totaled $67.9 million, the lowest total since simulcast wagering was added in Nebraska in the …. MONTICELLO – The casino operation at the Monticello Casino and Raceway will soon close, but the harness racing track will stay open for now. Empire Resorts, the Monticello racino’s parent company, will close its electronic gaming operations at the track “on or about” April 23, according to a Securities and Exchange Commission filing on Tuesday. Forty employees will remain at the raceway, while the operation’s other 160 can take jobs at the nearby Resorts World Catskills casino, also owned by Empire Resorts, or receive severance packages. “We’re happy about the fact that they have offered jobs to laid-off members, and we’re constructively talking with the company about adding additional severance,” Hotel Trades Council, the union that represents most of the workers, said in a statement. Empire Resorts Inc. said horse racing will continue. But, in a written statement and in an SEC filing, it made no guarantees about the track’s long-term future. 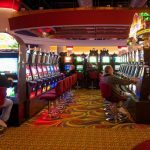 The goal for now, the company said, is to avoid cannibalizing revenues from the 2,157 slot machines and 150 table games at Resorts World Catskills in the Town of Thompson. 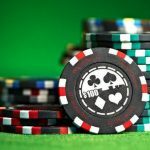 Churchill Downs Incorporated (CDI) (Nasdaq:CHDN) has announced an agreement with Golden Nugget Atlantic City (“Golden Nugget”) to enter into the New Jersey real money online gaming (iGaming) and sports betting markets, subject to sports wagering legislation and gaming license approvals. CDI is targeting the first quarter 2019 to begin accepting legal wagers for iGaming and sports betting in New Jersey. The Golden Nugget Atlantic City, located on Frank S. Farley Marina, is a premier resort destination, offering guests more than 740 rooms and suites. The Golden Nugget has established strong brand recognition worldwide with locations in Las Vegas and Laughlin, Nevada; Biloxi, Mississippi; and Lake Charles, Louisiana. Launched in November 2013, GoldenNuggetCasino.com is the number one U.S. online casino and was voted Operator of the Year three years in a row from 2015 to 2017 at the iGaming North America Awards. Golden Nugget Atlantic City accounts for 35% of the New Jersey online gaming market. Churchill Downs Incorporated (CDI) (Nasdaq:CHDN), headquartered in Louisville, Kentucky, is an industry-leading racing, gaming and online entertainment company anchored by our iconic flagship event – The Kentucky Derby. We are the largest legal online account wagering platform for horseracing in the U.S., through our ownership of TwinSpires.com and have announced our plans to enter the U.S. real money online gaming and sports betting markets. 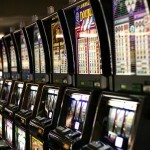 We are also a leader in brick-and-mortar casino gaming with approximately 10,000 gaming positions in eight states. 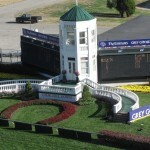 Additional information about CDI can be found online at www.churchilldownsincorporated.com. The United States Supreme Court building in Washington DC. 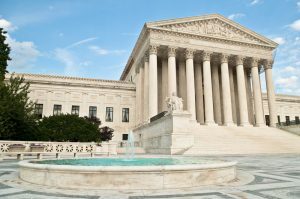 According to CNN: “The Supreme Court cleared the way [today] for states to legalize sports betting, striking down a 1992 federal law that had prohibited most states from authorizing sports betting. 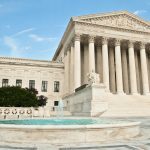 The court said the federal law violated constitutional principles limiting the federal government from controlling state policy. It unconstitutionally required states to prohibit sports betting under their own laws. COLORADO SPRINGS, Colo., Sept. 11, 2017 /CNW/ — Century Casinos, Inc. (NASDAQ Capital Market®: CNTY) announced today that Tourism Calgary named Century Downs Racetrack and Casino in North Calgary, Alberta, Canada as one of 15 Can’t-Miss Adventures for the Ultimate Sports Weekend in Calgary. South Florida racetrack casino owners merely shake their head when they asked how they can compete with the Seminole Hard Rock Hotel & Casino in Hollywood. My recent calculations illustrate why.